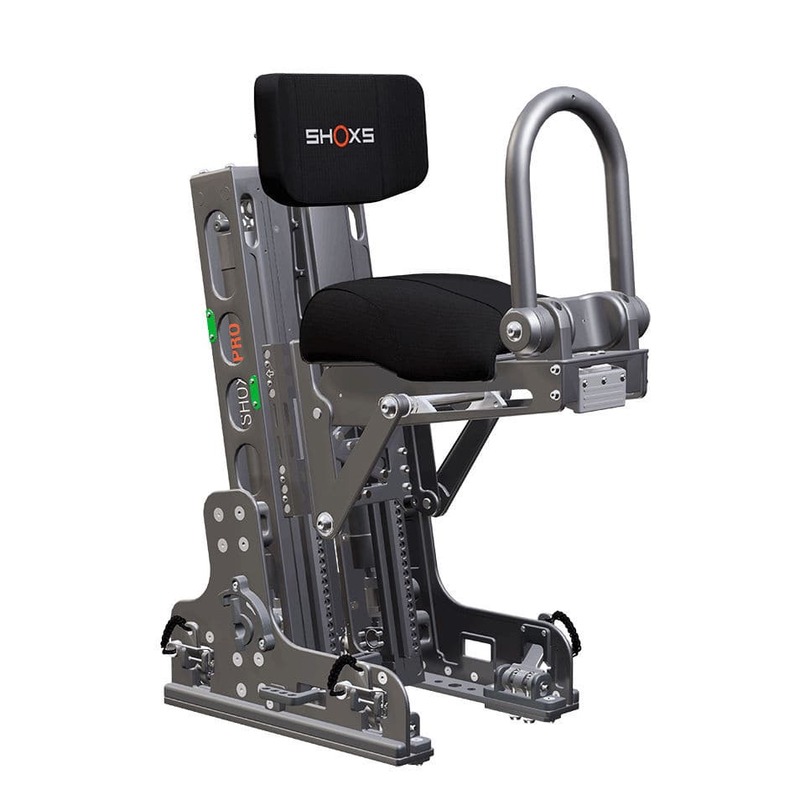 A compact, marine-grade jump seat purpose built for maritime security, VBSS, boarding teams and military operations on open boats and RHIBs. 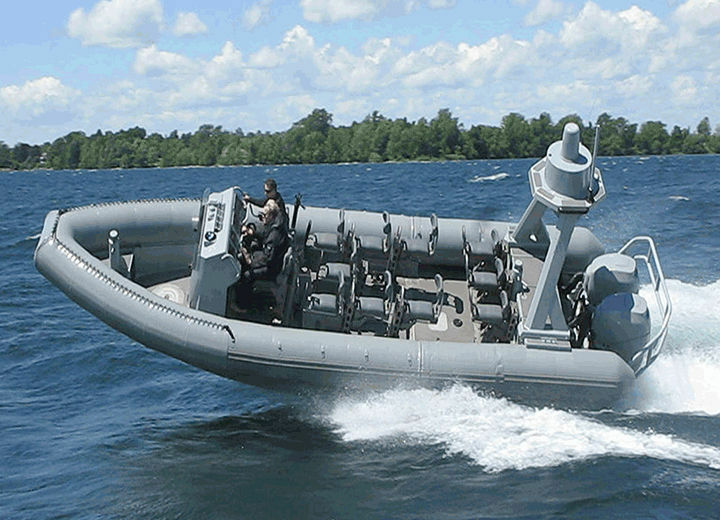 The compact, jockey-style SHOXS 5605 is ideal for crew and passenger seating on open boats and RHIBS engaged in VBSS, transport, search and rescue, and security operations. The seat base drops down to stow in seconds, and the optional SHOXS TRAXS installation allow seat locations to be quickly reconfigured. 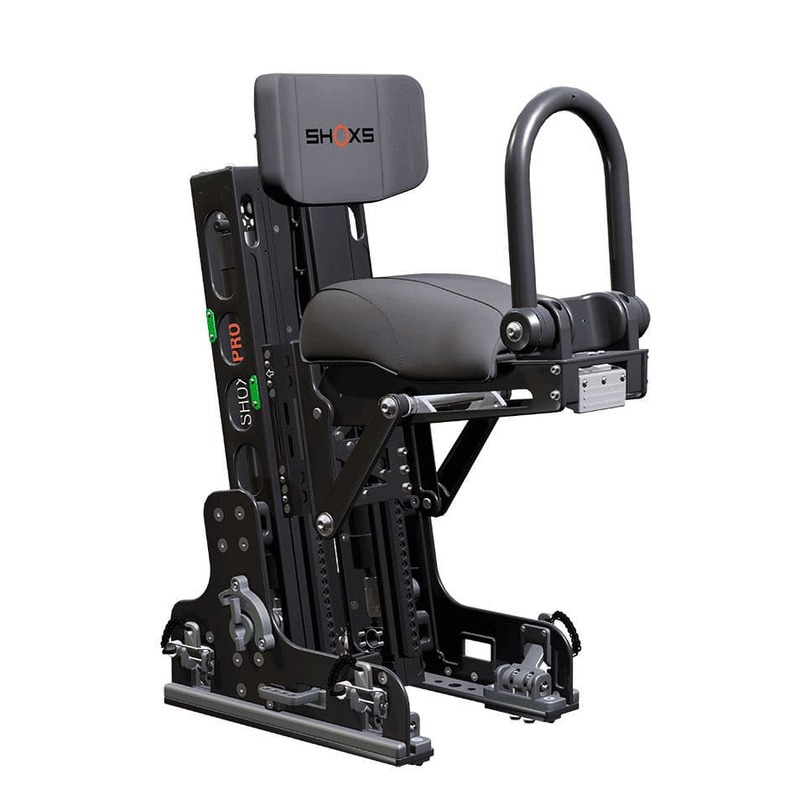 The 5605 accepts rear mounted jump seats, adding even more functionality and capacity. The 5605 options include fore/aft and height adjust to accommodate occupant size and comfort. 10 inch (254 mm) of suspension travel is standard. The 10 inch (250 mm) suspension travel is designed for use by high speed craft operating in the most extreme conditions. 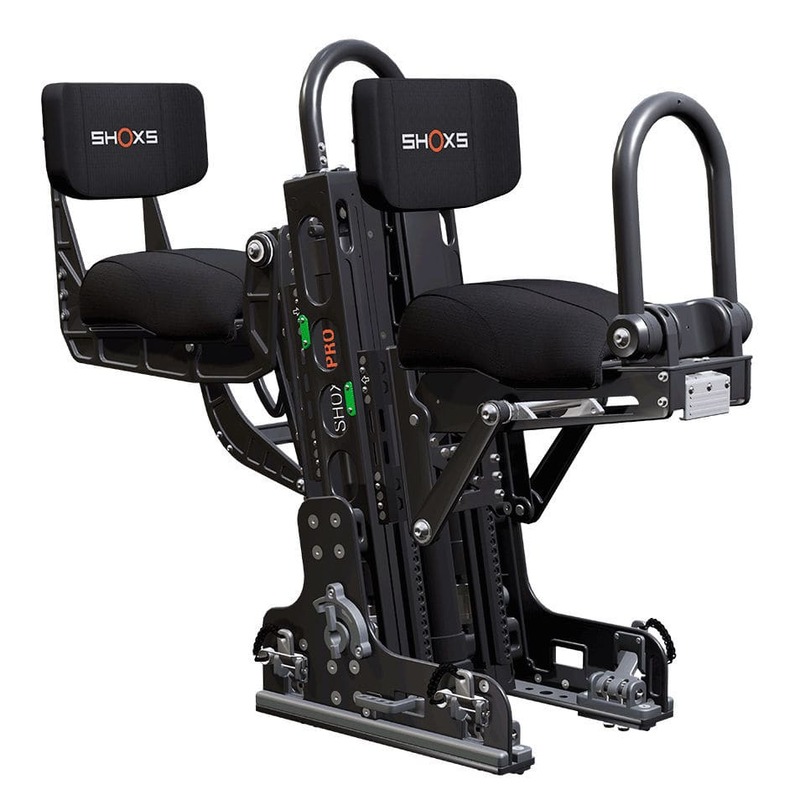 The SHOXS 5600 utilizes CNC machined, hard anodized 6061-T6 and 5086 H116 aluminum construction. Components include 316 stainless steel, 316L stainless steel fasteners and Titanium components in high stress areas. The aluminum components are available in black or grey anodizing. The upholstery is waterproof, UV stable, mold resistant and hand stitched. 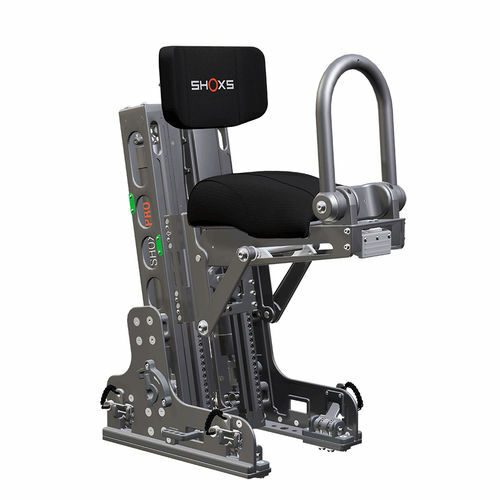 The seat base of the SHOXS 5605 folds down to create more space on deck. A quick release handle folds the seats base with one hand. If there is a hand hold on the front of the seat it will fold using the same handle. Once folded the SHOXS 5605 locks into the stowed position. The same handle is used to deploy the seat and hand hold. Stowing and deploying the seat base takes less than 5 seconds.